Refilling an ink cartridge can confuse the page counter system in the printer, normally when the cartridge has been refilled the ink level should also change. However, even if the cartridge is completely filled the ink level will appear as empty. To resolve this issue the page counter on the printer must reset. This issue frequently happens in the Canon printers and although it is not a big issue because your printer can still function normally. But in some cases, this error can completely shut the printing down and get it blocked, you will not able to use the printer until this error is fixed. 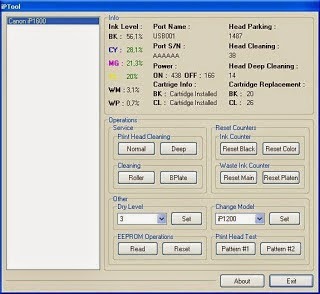 Even if the ink cartridge is completely filled, it will appear as empty and to eliminate this situation, you will need to reset the ink level using a program called iPtool. This program will allow you to configurate the software of many IP PIXMA printers, at the end of this post you will have the full list of printers compatible with this software. First, download the iPtool software for Canon, if at the end of this procedure you have met the results expected, please contact us by leaving a comment in the section this post and we will glad to assist you. 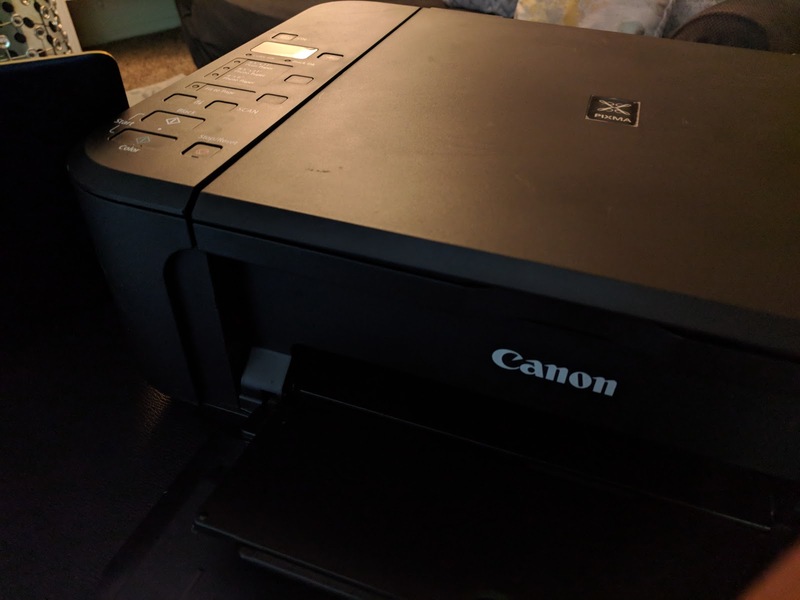 Turn the printer OFF using the ON/OFF button and unplugged the power cord. Plug the power cable back and turn the printer back ON using the ON/OFF button. The printer indicator light will turn green. While pressing the ON/OFF button, press the Resume or Stop/Reset button twice. This button is in red in the printer panel; normally it is used to cancel documents. At this point, you on your screen you can choose the option that best works for you, for example, if you want to reser the back ink cartridge counter or the color cartridge counter you must select it. Turn the printer OFF and then ON again after the reset process. Remember, you can contact us by leaving a comment below this post if you need help and we will be glad to assist you as soon as possible. The procedure can be done on the following printers, in some of the printers, the buttons can be different.